I love Italian food, so today I'm writing about the scaloppine recipe. Usually this scallop is made of veal, but I prefer it made of chicken chest. 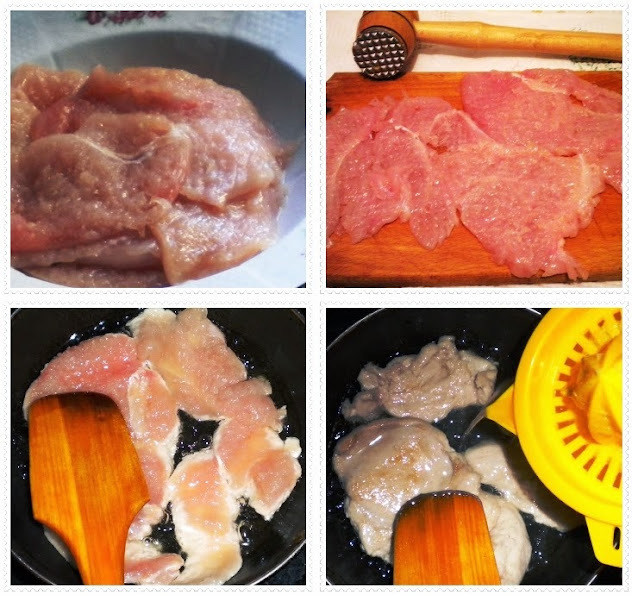 Beat the slices of chicken chest with a meat beater. Then add some salt and fry them into a rather large pan, in hot oil. When the meat is done, spread the spices and pour the lemon juice over the slices. With a wooden spatula mix the lemon juice with the oil in the pan then and cover with a lid. Leave aside for 5 minutes so that the sauce should soften the meat and the flavours mix. You can serve the chicken scaloppine with French fries and finely chopped parsley leaves on the top. 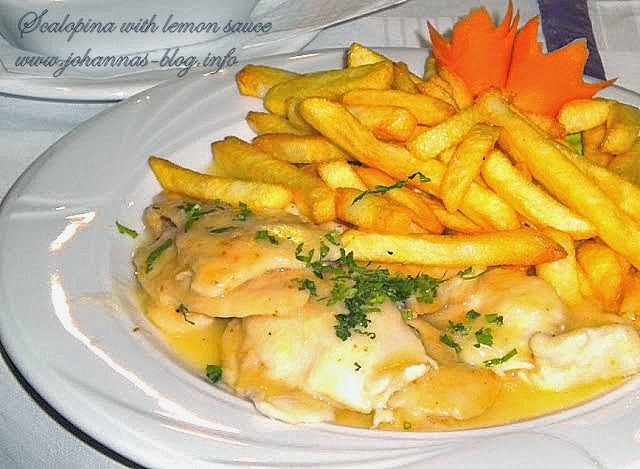 The preparation of the chicken scaloppine with lemon sauce takes about half an hour. Oh, :) I am glad to meet another Italian food "addict"! Oh, I am glad that I can help with my recipes. I use to eat mainly chicken meat.